Beef liver is one of the most nutritious foods in the world. Why is liver so healthy? It’s packed full of Pre-formed Vitamin A (Retinol), iron, copper, b vitamins, zinc and more! I wanted to share the liver recipe I currently use every week to make liver for my family. Cut bacon strips into 1 inch wide pieces and place in refrigerator. Slice liver into 1/2″ x 1/2″ strips. Rinse strips of liver under cold water and place in small bowl. Add water and lemon juice to bowl and stir, place in fridge. Optional: Let liver soak for up to 8 Hours. Remove all ingredients from refrigerator. Place bacon in mesh strainer and drain bacon grease into skillet. Set bacon aside in small kettle (I usually keep this kettle near the skillet to keep it warm). Cook onions in bacon grease over medium heat until soft and caramelized. Place onions in mesh strainer and drain bacon grease into skillet. Drain liver with strainer and pat dry with paper towel. In a small bowl mix flour and salt. Add pieces of liver to flour mixture and toss till coated. Heat skillet with bacon grease to medium. Remove from pan and add to onions and bacon. Serve and Enjoy! Tasty and Nourishing. 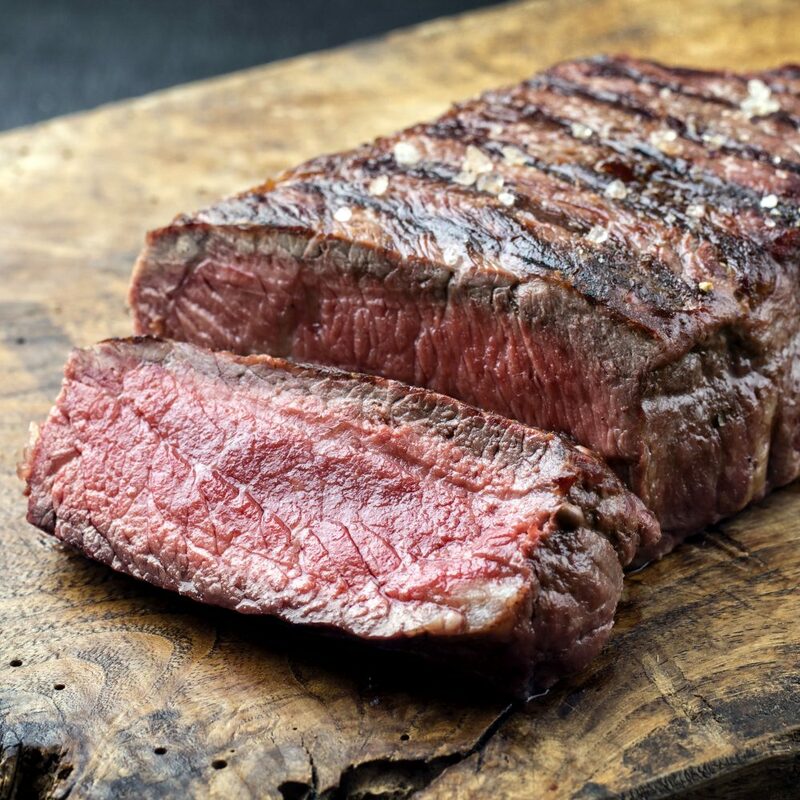 Here’s my foolproof way to cook the perfect steak in your kitchen. Take your steak out of the freezer 3 to 5 days before you will cook it and let it thaw in the fridge. Remove from fridge one hour before cooking. Preheat your oven to 200 degrees Fahrenheit. Remove steak from oven and let rest for 10 minutes. Put a THIN layer of beef tallow or ghee in the bottom of the pan. Sear the steak 1 minute per side. Rest the steak for 5 to 10 minutes. 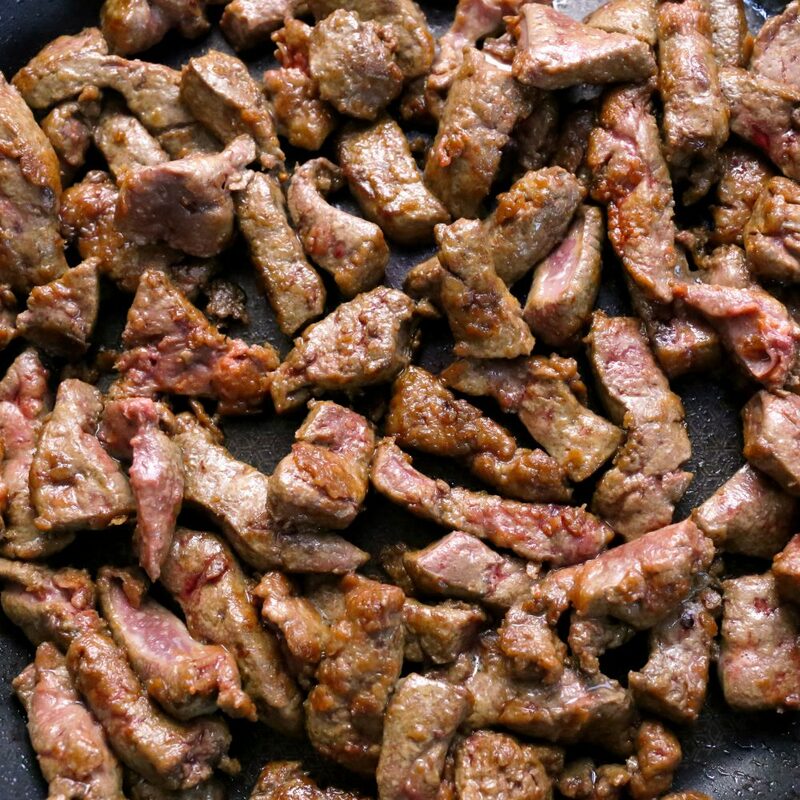 This is actually one of the easiest ways to cook a tender tasty steak. Because you are cooking it low and slow, the steak stays tender. Because the outside of the steak has little moisture on it after baking, you get an excellent sear very quickly which does not heat up the inside of the steak very much, preventing the steak from getting tough. Your steak will be tender, juicy and tasty. This morning I tried a steak from this year’s beef harvest (Fall 2018). It was incredible! Very tender and juicy with excellent flavor. I’ve been working hard every year to improve the quality of our beef and I am very proud of the product we’ve produced this year. Figuring out how to raise beef on 100% grass has been a steep learning curve, but it has been fun to see our progress each year. The first year our beef was too lean and sometimes a little tough. Still tasty, but not as good as I wanted it to be. The second year we got good marbling in our steaks as the animals put on a good amount of fat before butchering. We solved the leanness problem by selecting animals that would be older at harvest. This allowed them time to put on fat which contributed to good marbling in our steaks. We also improved our grazing management to ensure the animals put on good weight before butchering. Our tenderness improved overall, but we learned later in the year that some animals that were stressed in the loading process were too tough. In our third year, in addition to everything we learned in our previous years, we installed a low stress cattle handling system and also purchased Red Devon cattle which are known for being calm and also putting on good weight on grass alone. I’ve also learned more about how to cook grass-fed beef each year. Cooking grass-fed beef properly is very important. Unfortunately, a tough cut of meat cooked properly will still not reach the full potential of a tender, marbled steak. While I am excited to have finally produced beef that I consider incredible, I’m not planning to stop learning and improving. I have some new ideas for this year to improve the taste, tenderness and flavor of our beef even more..
As I learned in reading Grass Fed to Finish (A book about producing high quality beef on 100% pasture), the best and worst steaks in the world are grass-fed. The quality of the beef depends on how the meat is produced. 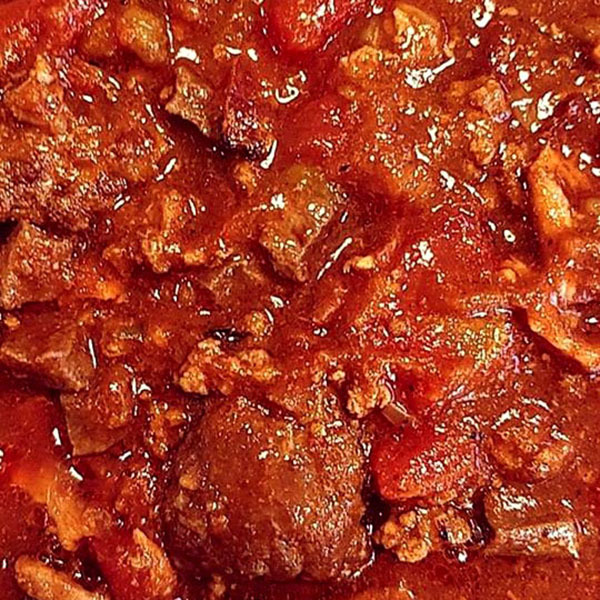 Taking shortcuts in the production of your beef will result in poor results. However, the attitude of continuous improvement and learning will result in an excellent and more consistent result. I wanted to share my success with you and let you know about the journey we’ve been on at Firefly Meadows Farm. We are striving to produce products that are healthy, healing and delicious! If you have any feedback for us, let us know! It’s that time of year again. We are accepting deposits to reserve our grass-fed beef! We are selling wholes, halves and quarters. Our 2018 bulk beef is estimated to be available for pickup November 7 – November 28 2018. Availability: many local farmers have waiting lists. Clean eating: we do not spray our pastures. Diversity of forage: our cattle get access to a wide diversity of pasture plants for maximum nutrition. Great price! Save money by buying in bulk. Easy ordering and payment: you pay for the packaged product you receive and there are no additional butchering costs. What will be included in my bulk beef purchase? We have standardized the cuts in order to make the ordering process as easy as possible. 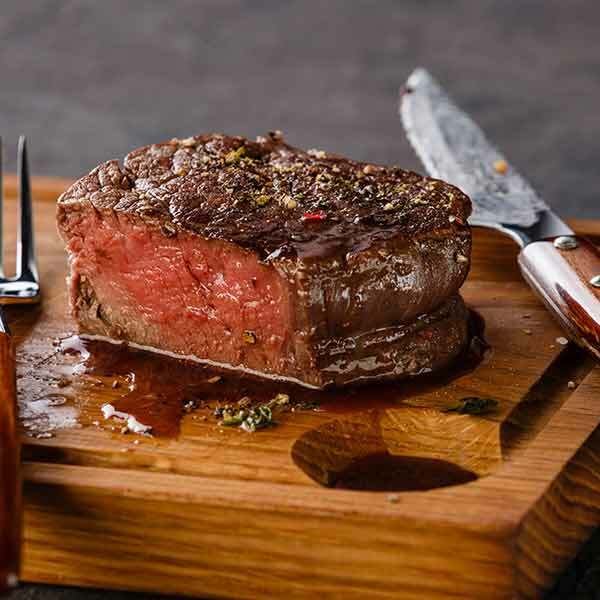 Your purchase will include steaks (Delmonico, New York Strip, Filet Mignon, *Petite Tender, Sirloin, *Flank, Flat Iron, Top Round, London Broil, Chuck Eye and *Skirt), short ribs, brisket, roasts (Chuck, Rump and Sirloin Tip), Chip Steak, Hamburger Patties and ground beef. Orders will not include the following organs unless requested: Liver, Heart, Tongue. *These cuts only available on whole and half purchases. How much beef will I receive? Here are our estimated weights of product you receive. We will cap your total cost at the high end of these estimates even if you end up receiving more beef. What is the cost of your beef? We want to keep the cost of our beef very simple. You pay by the pound of actual packaged meat. When will our beef be available for pickup? The estimated dates for pickup are November 7 – November 28 2018. You will receive a call when your order is ready, and you will then have fourteen days to pick up your beef. Order pickup is at Smuckers Meats, a USDA-certified processing facility located at 735 Pinkerton Rd, Mount Joy, PA 17552. How can I reserve my beef? To reserve your beef, pay a deposit on our website securely with debit or credit. If you prefer to pay by check, contact us. Your deposit will go toward the total cost of your beef. Click on a link below to reserve your beef. The balance of your beef (total cost minus deposit) will be due before pickup. When the meat is packaged, we will email you an invoice for your balance, which you can then pay by credit card or check. Want an extra $25 off your final invoice? Refer a friend and have them enter your name when they place their order. Our beef is sold first come, first served. If the website shows your desired beef amount is out of stock, contact us. We may still have be able to meet your needs if other sizes are in stock.